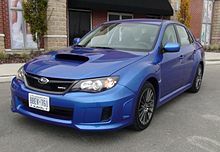 Powering the new Subaru Impreza is a revised version of the FB20 2.0 litre direct-injection boxer-four. This engine is sold in all markets except Europe. A 1.6 litre engine continues to be available in Europe and in the Japanese domestic market. With around 80% of parts revamped, the engine produces 152 hp, four more than before. 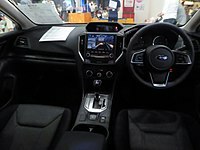 Subaru's Lineartronic CVT was also improved with enhanced ratio coverage, and a 5-speed manual transmission continues to be available. The changes made to the Impreza's 2.0L engine are supposed to offer slightly improved acceleration and flexibility of power delivery. Although the engine is 152 hp, some auto reviewers feel that the new Impreza continues to fall short in power when compared to competitors from other brands. Some competing compact sedans such as the Volkswagen Jetta, Honda Civic, and Hyundai Elantra are sold with optional engines offering 200 hp or more. 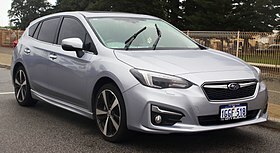 Subaru has rated the new Impreza in the US market  (with 2.0L engine) an EPA-estimated 28 miles per US gallon (8.4 L/100 km; 34 mpg���imp) city /38 miles per US gallon (6.2 L/100 km; 46 mpg‑imp) highway. 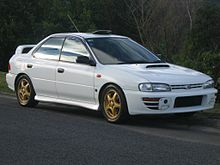 As with the previous generation Impreza, Subaru's Symmetrical AWD is standard in all markets except Japan, where it is optional.